Local government in England is facing severe financial pressure. As a recent briefing from the National Audit Office (NAO) explained, English local councils have had their funding from central government reduced by almost 50% in real terms since 2010-11, at the same time that demographic pressures have increased the demand for both children’s and older people’s services. This has resulted in local governments having increasingly to concentrate their resources on fulfilling their statutory duties (the services which local authorities are required to provide under the law), and reducing the amount they spend on other things. In 2018 Northamptonshire County Council became the first local authority in England to effectively go bankrupt since 1980, prompting radical cutbacks in services. The NAO has warned that Northamptonshire County Council may not be the last English local authority to actually fall over the financial precipice in the near future, with its analysis suggesting that a number of others are potentially at risk. According to recent news, most English local authorities are responding to this challenge by exploiting one of the few means of unlocking additional resources which is available to them – raising Council Tax. Council Tax increases are almost universally unpopular, but there are also important questions which need to be asked about the progressiveness of following this option. In particular, is it intergenerationally fair? One of the reasons why local authorities are in this predicament is that their ability to raise revenue locally is heavily circumscribed by central government. Indeed, England is somewhat unusual in comparison to the majority of other developed countries in that central government controls the vast majority of tax revenues; in other countries, including both the USA and France for example, local property taxes and/or local income taxes have historically played a much more significant role in funding local services. Over recent years, central government – which usually wants both to avoid annoying well-to-do property-owning voters and also to maintain total control over public spending – has capped the amount which local authorities can increase Council Tax by in any given year, although individual councils can raise it beyond these limits if local residents vote to allow them to do so in a referendum (although so far, only one has actually taken place, and the local authority lost it). As the NAO’s research explains, this has left many local authorities needing to dip into their financial reserves in order to make ends meet, which clearly isn’t likely to be sustainable in the long term. A new piece of research recently published by the Local Government Information Unit, which was based on a survey of key decision-makers within local authorities (see the linked BBC article above), found that three-quarters of them are planning to increase Council Tax by more than 2.5% from next April, even though most of them will also be cutting services at the same time in an effort to balance the books. This would represent the first real-terms increase in the average Band D Council Tax bill since 2010-11 (Council Tax is divided into eight graded “bands” within each local authority), bringing the average annual bill for people who own a Band D property to £1,671 per year. The problem with this is that raising additional revenues through increasing Council Tax is regressive in a number of ways, especially towards younger people. This is because there are a number of flaws in the way that Council Tax is designed. In particular, the relatively small differences between the individual Council Tax bands mean that people who live in larger, and usually more expensive, homes are charged significantly less as a proportion of their property’s value than people who live in smaller, cheaper ones. The bands in England are also based on property values in 1991, which have never subsequently been updated, meaning that properties in the areas of the country which have seen the biggest growth in house prices since that point in time are taxed significantly less heavily than ones in places where properties prices have grown more slowly. Most importantly, Council Tax looks particularly regressive from an intergenerational point of view, for several reasons. 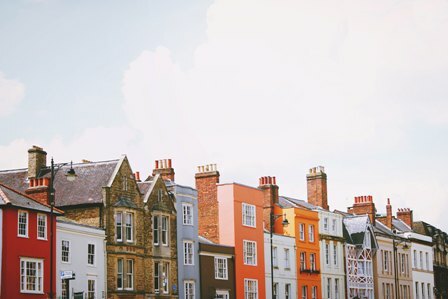 Firstly, because younger people are more likely to live in smaller, less expensive properties than older people, they pay proportionally higher Council Tax rates as a share of their property’s value, even though they are less wealthy. Secondly, because Council Tax is effectively levied on property occupiers rather than property-owners, older people who own two properties and rent one of them out to a younger tenant can pass on the whole of their Council Tax liability for that property to the tenant, even though their property wealth is far greater (although this feature of Council Tax does make more sense if you view it as a tax on local service users, rather than a tax on property ownership). Thirdly, Council Tax reinforces intergenerational unfairness by incentivising people to own more property than they need because both single occupation and owning second homes are effectively subsidised, which is likely to have an inflationary impact on house prices for everyone else (although some local authorities have begun cracking down on empty second homes by levying a Council Tax surcharge on them). From this point of view, either raising Income Tax (which, although not perfect, is much more progressive than Council Tax) or – even better – reforming our system of property taxation to remove some of these regressive features, would be preferable. A very good place to begin with improving the intergenerational fairness of the tax system would be levying National Insurance contributions on the incomes of people who are above State Pension Age, as IF has called for repeatedly. Given how difficult the financial circumstances facing most local authorities are, it is understandable that many of them feel they have no other option apart from raising Council Tax. We should also remember that, even though many local authorities are spending a growing share of their resources on social care, this is not just a crude transfer from young to old: demand for children’s social care is also growing rapidly, and younger people benefit from not having to divert all their time and attention towards looking after their older relatives who need care. However, the fact that Council Tax has so many undesirable characteristics as a way of raising revenue means that this should increase the calls for it to be reformed.